When it comes to air conditioning systems, Ice Age Mechanical has the knowledge and skills to provide the services you need. Whether you are looking to replace your existing model or are just in need of an inspection, we can assist you. 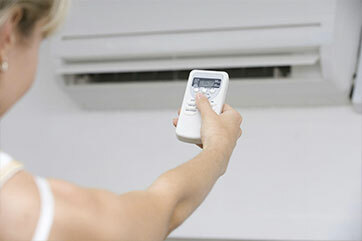 A great way to lower humidity and circulate cool air in your home is with a central air conditioning system. These systems are easy to install and operate on the same duct system as a forced air heating system. The SEER rating of an air conditioner determines how efficient the system is, with the higher the rating meaning the more efficient the system is. A central air system works by installing a coil that sits within the ductwork on top of your current furnace. 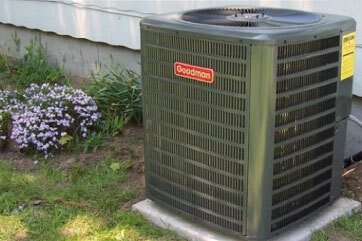 A condensing unit is then placed outside your home with a compressor inside. This produces a cooling effect on the gas that flows through the coil above your furnace. When the furnace fan turns on air goes over the coil, is cooled, and flows through the ductwork into your home. If you don’t have existing ductwork in your home or need to supplement a current air conditioning system, a ductless air conditioning system is the way to go. These units come in single-, double-, or triple-zone systems with one, two, or three units connected to an outside unit to cool larger homes. These systems are great for cooling homes of more than two floors. They are also excellent for homes that have restricted airflow. A ductless system is made of copper tubing and electrical wiring that is connected to an outdoor unit. The refrigerant is pumped from the outdoor unit to the indoor units, where a fan blows air over the cooling coil to circulate throughout the room. Ductless systems are also great for multi-family homes where there are multiple apartments within the same house. They can be an inexpensive and efficient way to cool specific zones of a home without cooling the entire house. 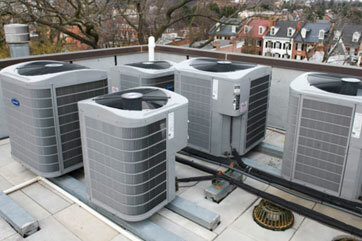 We work with all types of equipment, from residential units to rooftop units. If you are interested in receiving professional AC service, please contact us for central air in Fort McMurray.